We are so honored that Pathogenesis made this list!! We continue our “Best of 2017″ series curated by the entire CCM-Entropy community and present some of our favorite selections as nominated by the diverse staff and team here at Entropy, as well as nominations from our readers. This list brings together some of our favorite board games and card games published in 2017, as well as “new to us” games published in previous years. Games in this list belong to the “Deep Dive” category; these games require a little more effort to get into but reward players with deep strategy and immersive storytelling. For dedicated gamers only! Presented in no particular order. Blurbs by Byron Alexander Campbell (Tabletop Games Editor). 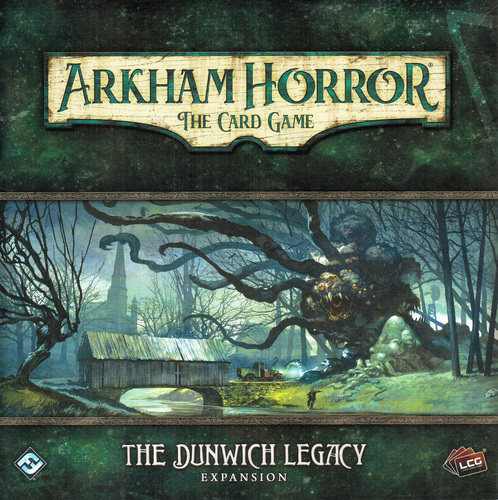 Betrayal at House on the Hill is one of the best games out there for generating unique, memorable stories, although with over fifty potential “Haunt” scenarios (and fifty more in 2016’s supplement, Widow’s Walk, with featured guest writers like Adventure Time creator Pendleton Ward, feminist gaming icons Anita Sarkeesian and Zoë Quinn, and Cards Against Humanity designers Max Temkin and Eli Halpern), not every scenario is perfectly balanced or unambiguous. 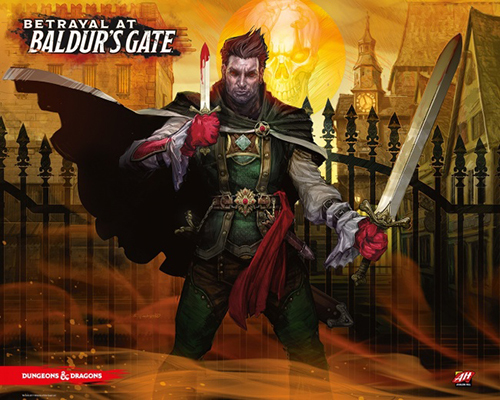 It’s a messy but evocative experience, and if horror isn’t your thing, you can now play in the Dungeons & Dragons Forgotten Realms setting with Betrayal at Baldur’s Gate. 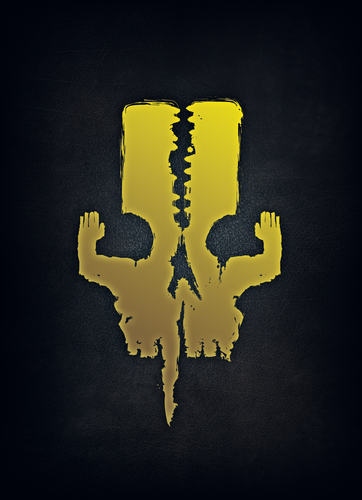 Aside from the sideways genre shift, the new Betrayal adds character-specific perks, revised Haunt rules to make playtime more consistent, and a greater percentage of purely cooperative Haunts, so you’ll now be wondering not only who in your party will turn traitor, and when, but if. 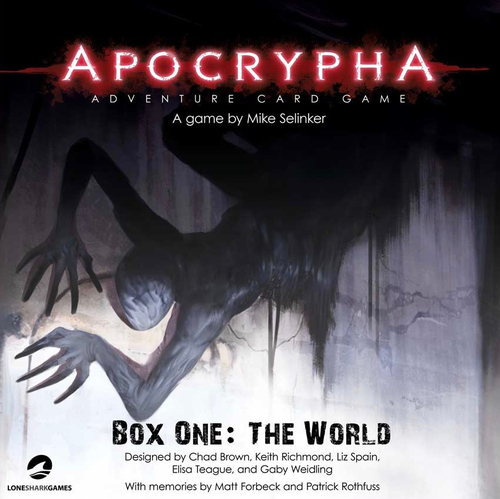 Apocrypha Adventure Card Game by Mike Selinker et al. Mike Selinker wears many hats. 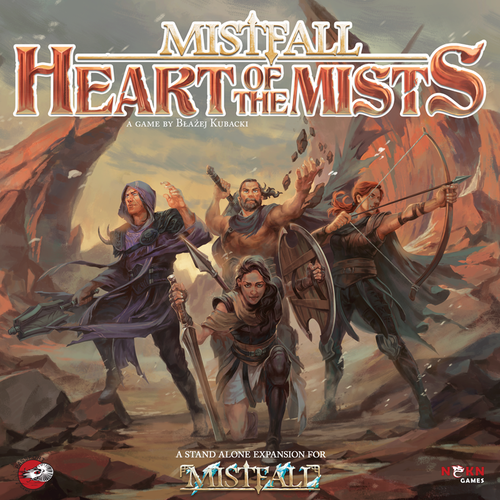 He’s a former creative director for Wizards of the Coast, a renowned puzzle designer, one of the major forces behind the original Betrayal at House on the Hill, and creator of the flawed but groundbreaking Pathfinder Adventure Card Game (see the Entropy review). Apocrypha Adventure Card Game is more than just PACG in an original setting with better attention to storytelling. 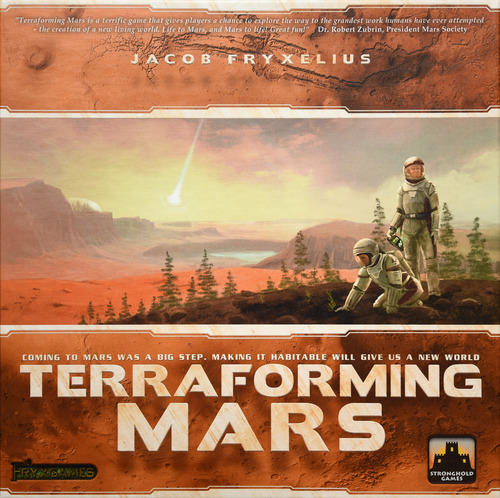 It’s also a fresh start, mechanically, built from the ground up to allow much greater diversity in scenario design, a less “kitchen sink” approach to dice-rolling, some intriguing mechanics tied into seating position, and a sandboxey design that lets you tackle any scenario in any order rather than follow an on-rails experience. Unfortunately, the ruleset is even more opaque than it was with Pathfinder, not every innovation is successful, and we won’t see the game’s full potential until the other two boxes release in 2018. 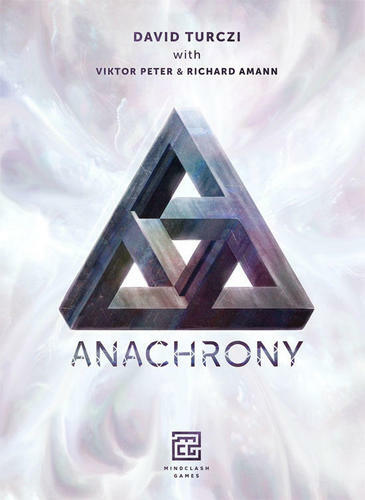 If Apocrypha‘s chemtrails-and-leylines setting weren’t so well realized, it wouldn’t be worth the effort, but it’s enough of a conceptual buy-in that we’re eagerly awaiting the consummation of the series. 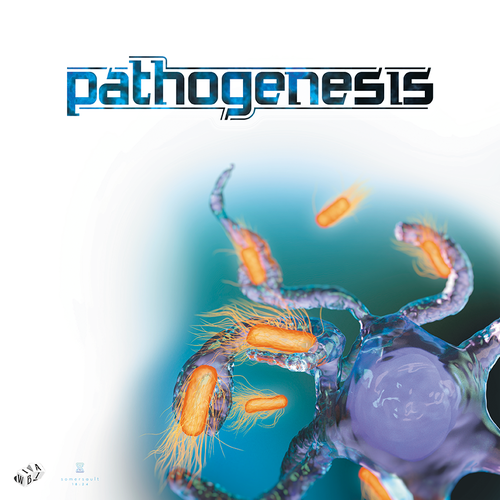 Players who appreciate verisimilitude in game design—especially those with an interest in biology, and especially especially those learning or teaching immunology at a college level—will find a lot to love in Pathogenesis. This semi-competitive deckbuilding game puts players in the role of pathogens attacking the human immune system, which is split into three tracts: respiratory, gastrointestinal, and tissue. Attaching new traits and toxins or upgrading from normal flora to tract-specific pathogens or superpathogens will help the players fight through the body’s passive defenses, but as soon as one tract is breached, the real battle begins as the pathogens must now survive attacks from a two-tiered active immune response. The game’s scientific fidelity, supported by artwork from professional science illustrator somersault1824, is enough by itself to recommend it to people who want to learn more about how our bodies protect us, but luckily, the game is fun as well. 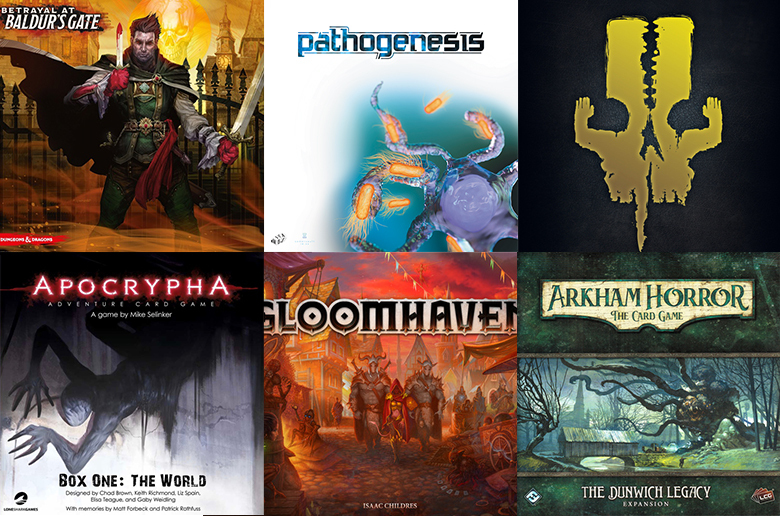 With the growing consolidation of board game publishing, something you have to look to small publishers to push boundaries. 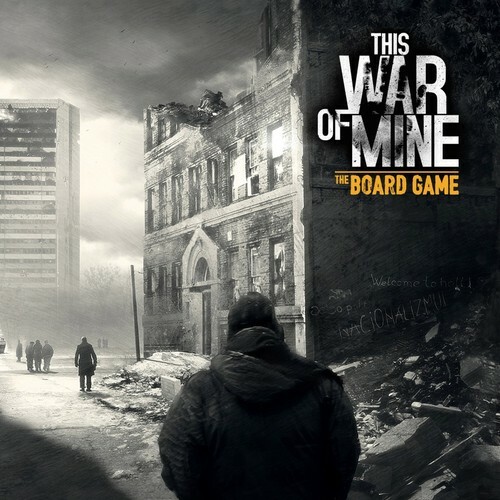 Yes, This War of Mine: The Board Game is based on the famously depressing, award-winning indie PC (and mobile, and console) game. Inspired by the four-year Siege of Sarajevo, This War of Mine tells the story of war from a civilian’s point of view, and it’s understandably bleak. 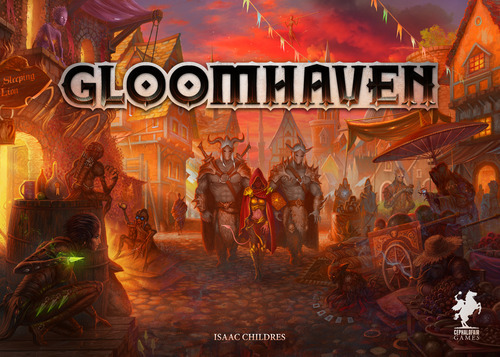 The cooperative board game borrows the setting and general structure of the digital version: players collectively control a group of survivors who work to clear rubble and improve their shelter during the day and venture outside for food and supplies at night—though you’ll want to leave at least one person behind to defend the shelter from looters. Although the game goes a little overboard, mechanically, trying to emulate all of the aspects of the computer game, it’s earned a lot of praise for its sensitive depiction of a challenging topic, lengthy and difficult campaign, and its extensive narrative component, as players are often asked to read from a thick “Book of Scripts” a la Tales of the Arabian Nights. These games from previous years only got better in 2017. 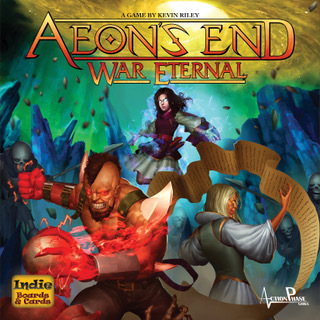 Aeon’s End was a favorite in 2016, so War Eternal didn’t have a lot of improvement to make, but this standalone expansion to the cooperative deckbuilding game with no shuffling(!) makes a good thing even better. New art design incorporates more vibrant color and an attractive anime-inspired aesthetic, new breach mages and nemeses expand the gameplay possibilities, and the arrival of strangers from the void between worlds—as well as those who would harness its power—deepens the mysteries of Gravehold, the last bastion of The World That Was. Here are some gems from years past that the Entropy community started playing in 2017. Stefan Feld is a powerhouse of European-style game design. His games tend to embrace a “point salad” philosophy, providing players with a smorgasbord of potential, intertwining paths to victory, as well as creative action selection mechanisms designed to limit these options to something more manageable. His Castles of Burgundy was an innovator in “dice worker placement,” and The Oracle of Delphi is powered by a similar engine. However, the end result of this dice-rolling and -selection is very different; rather than building sprawling, bucolic estates, players are racing across a modularly constructed map of the Aegean, completing quests and slaying Homeric monsters in the hopes of winning Zeus’ favor. 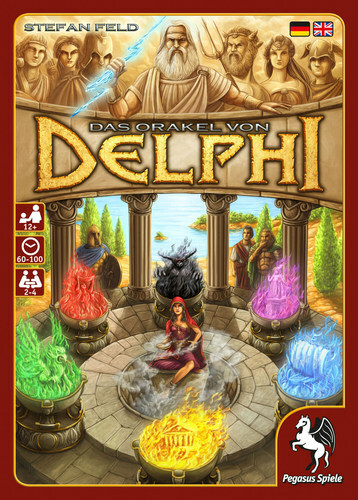 The setting and theme, in addition to the fact that Delphi is a race instead of a point-calculating exercise, make it the most adventurous and evocative of Feld’s designs.